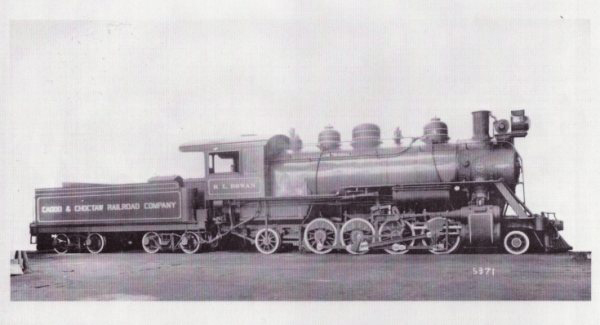 Builder's photograph of the locomotive that would become McCloud River #19. Courtesy Yreka Western archives. The future McCloud River #19, seen here in Mexico lettered as Cia de Real del Monte y Pachuca #105, a road owned by United Mining & Smelting. Courtesy Yreka Western archives. 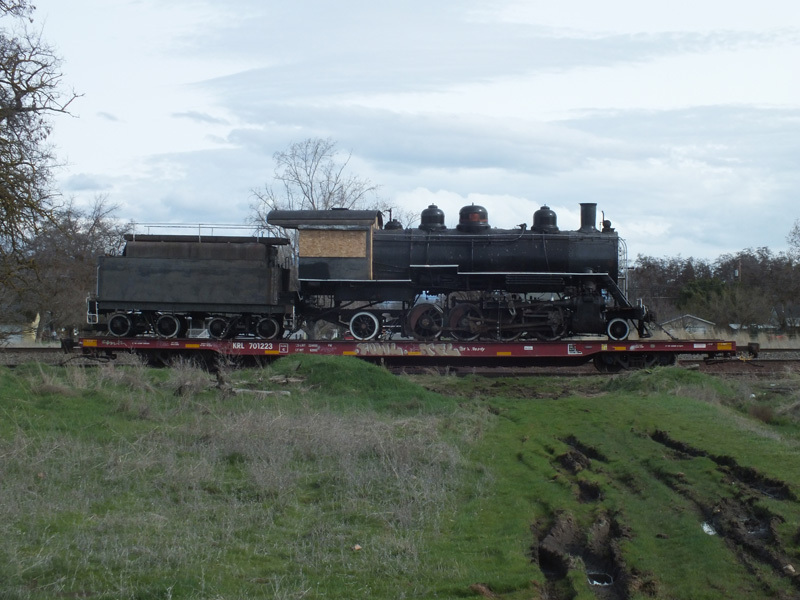 The #19 is seen here near the McCloud depot. 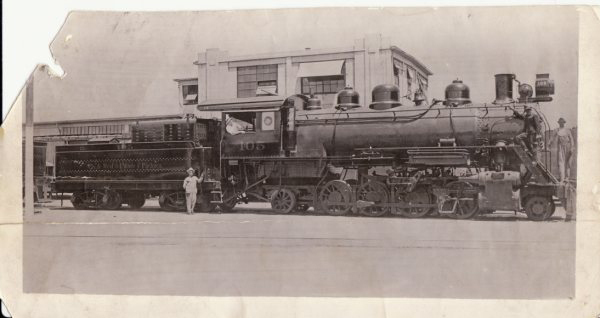 The McCloud Hotel is the building behind the locomotive. Photo is from the George Landrock collection. 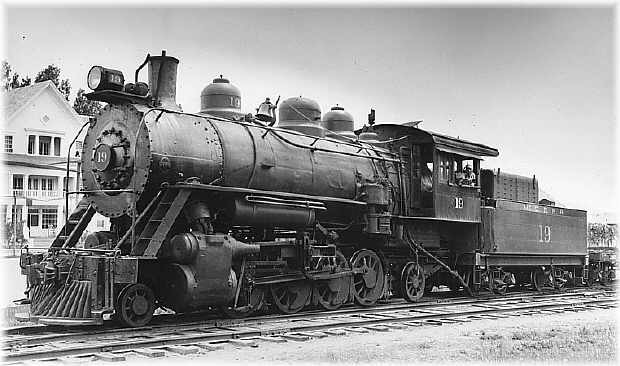 Another early photo of the #19, this time in the McCloud yards. The #19 with caboose #031 in the McCloud yards. Photo is from the Fred C. Stoes collection and is courtesy of Yesteryear Depot. Photo dated 21 April 1948 and credited to Robert Hanft. Taken at the water tank located adjacent to the McCloud roundhouse. Another view of the #19 late in its McCloud career. A more contemporary view of the #19 in service on the Yreka Western at Yreka, CA, around 1994. 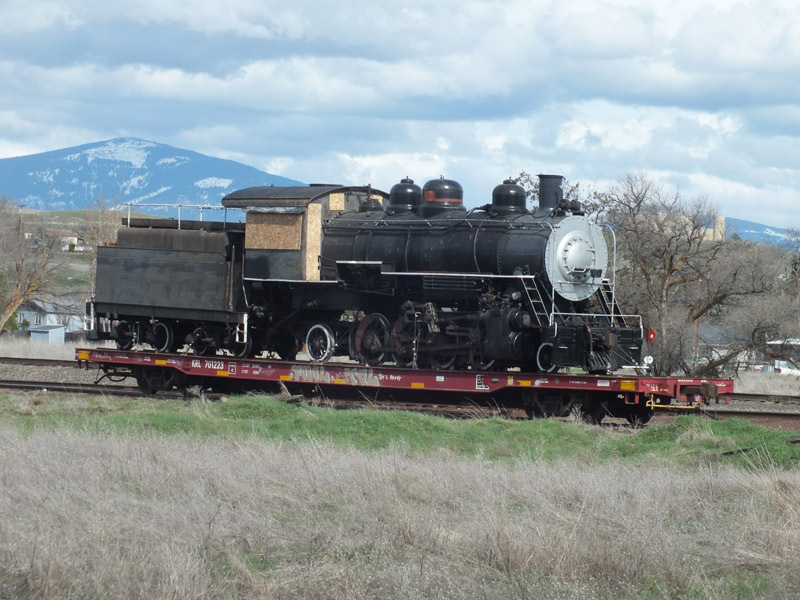 Two views of the #19 loaded on a flatcarin Montague, California, on 19 March 2017, waiting to be picked up by the Central Oregon & Pacific for the start on its journey to the Age of Steam Roundhouse in Ohio. Jeff Moore photos.